Welcome! Wherever you are in life’s journey, we invite you to join us as we make progress toward a more mature understanding of God, a more confident belief in His grace, and a more meaningful life of joyful, practical, loving service. 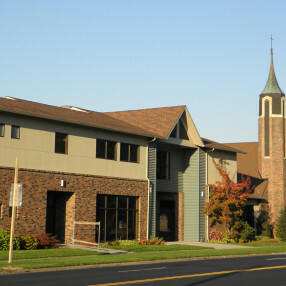 Pilgrim is a Christian congregation serving our community from a facility on Northwest Boulevard in Spokane. We are affiliated with the Lutheran Church-Missouri Synod, a church body founded 160 years ago by immigrants to Missouri, among other places, which now has nearly 2.5 million members in every state from every ethnic group and sister churches worldwide. Our name reflects a belief that God has given our lives a purpose and a destination. Lutheran is a Christian branch that sprouted in the 1500s when Martin Luther, a German scholar, tried to reform the Roman Catholic Church but got kicked out instead! We are conservative, in that we base our beliefs solely on the Bible as God’s authoritative message, but liberal in trying to live out our faith through fearless love for all people. We believe that the heart of Christianity is the good news of what God has done for us through Jesus Christ, and we are committed to sharing that news with others while living in the joy and freedom that it brings. Church, we believe, is not a building, institution, or program, but a group of people seeking to know and serve God together. Whether gathered as a large group for worship or as small groups for support, we act as extended family to help each other grow in faith. We hope that you will check out what we do online then come find out who we are in person! Classical Liturgy best describes our 8:00 Sunday morning worship service. We use a variety of formal settings from the Lutheran Service Book with hymns accompanied by the organ or piano. If you grew up in a traditional Lutheran, Roman Catholic, Episcopal, or other liturgical church, you will probably feel most comfortable at this service. We offer an attended nursery during this service and celebrate communion on the second and fourth Sundays of the month. Contemporary Praise best describes our 10:45 Sunday morning service. Video projection makes it easy to follow an order of worship written to reflect the theme of the day and including current praise songs accompanied by a worship band. If you grew up in a Baptist, Evangelical, or Pentecostal church, you might be most comfortable at this service. This service also has an attended nursery and communion on the second and fourth Sundays each month. Casual Interactive best describes our 7:00 Wednesday evening service. The group is usually small and always friendly. The order of worship is very simple, the Bible study style sermon is interactive, and the music is usually a mix of well-known hymns and older praise songs accompanied by piano. There is no attended nursery at this service, and communion is celebrated the last Wednesday of the month. Special Services are held on major holidays, including Thanksgiving Day, Christmas Eve, Maundy Thursday and Good Friday. On Good Friday this past year the service was largely comprised of a dramatic musical called “More Than Just a Man.” Plans are in the works for another meaningful musical production this Christmas, and you are invited to be part of it! Pacific Islanders also worship on Sunday evenings at 4:30 in our west wing chapel. Though not officially affiliated with our congregation, we are pleased to welcome and encourage this congregation of Christian believers from the Chuuk and other Pacific Islands. Most of our participants are from the Northwest Spokane and Nine Mile areas, though we have people who travel from many other neighborhoods and some surrounding towns to participate. We are a mix of ages and pretty equally spilt between male and female, families and singles, with some young, new Christians and some older, life long believers. Our location serves both urban and suburban neighborhoods, so we are involved in many local charitable agencies but also focused on child, youth, and adult discipleship ministries. 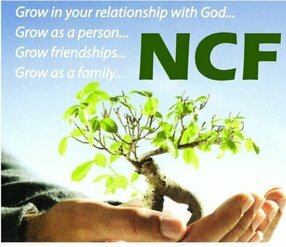 The congregation tries to be friendly without being pushy, caring without being nosey! We love to welcome those who are not a Christian! A great place to start learning about what we believe would be one of our pastor's Bible studies on Sunday mornings at 9:30am or Tuesday mornings at 10:00am, since these are very friendly, casual settings in which questions and sharing are encouraged. our pastor would also be glad to meet with you personally during the week to hear your story and encourage you. Go here? Tell us why you love Pilgrim Lutheran Church. Visited? Tell us what a newcomer can expect. 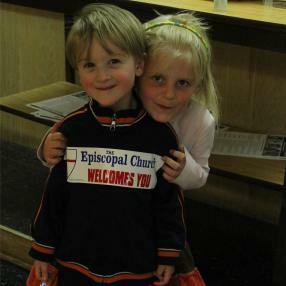 Enter your email address to receive an informative welcome email from Pilgrim Lutheran Church.